#1: DC/MD/VA District High School Tournament Report: post-season kickoff. Covers: MD regional kickoffs, VA district brackets, Private school tourney updates. #2: Maryland State Champs, Northern VA District Champs crowned Covers: MD state finals, VA district tourneys, VA regional brackets, DC regular season results. #3: Virginia Regional Results. Covers: VA regional results, State brackets, and summarizes DC and MD. #4: Virginia State Champions crowned. Covers: VA state tourneys, recaps MD, DC, Private School results. #5: List of all the final Player of the Year links that I’ve been collecting plus all the final ranking of teams from both local and national outlets (this post). In this post, we will publish all the various Teams of the Year, players of the year and other individual accolades. I’ve been publishing these as i found them in prior posts, but here they’re all listed as best as I can find them. Lists in Red are pending results; I’ll update this post as the results come in even post publishing. Maryland: Spalding’s Tyler Blohm won the Maryland award. 17th round pick by Baltimore, committed to Maryland. Washington DC: St. John’s Cam Remalia (by way of Waldorf, MD) won the DC award. Committed to Coastal Carolina. Virginia: Flint Hill’s Khalil Lee won the Virginia award. 3rd round draft pick and Kansas City signee. Washington Post All-Met teams: Jake Agnos is the 2016 All-Met Player of the year. 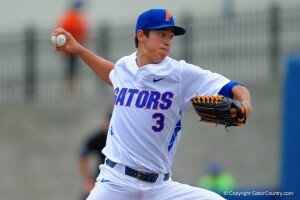 In two seasons for Battlefield, he was 18-0 with a 0.60 ERA and 265 strikeouts in 134 1/3rds innings. Virginia All 6-A North Regional team: Jake Agnos, LHP Battlefield (ECU commit) is the Pitcher of the year, Jared DiCesare, Chantilly (George Mason commit) is the Player of the year. Virginia All 6-A South Regional team: Fox Semones, SS/RHP Hylton (James Madison commit) is the Player of the Year. Virginia All 5-A North Regional team: Alex Smith C from Mountain View (Navy commit) is Player of the year. Virginia All 4-A East Region team: Grey Lyttle, 3b/OF from Hanover (High Point) is 4A East player of the year. Virginia All 4-A West Region team: Brendon Doyle, OF from Kettle Run (VMI) is 4A West player of the year. Virginia All 3-A West Region team: Drew Calohan, RHP from Rustberg HS is 3A West Player of the year. Ferrum commit. Virginia 2-A and 1-A All-Regional teams: pending; not sure if they’re even done. 6A VHSL All State Team: Jake Agnos, LHP Battlefield is the 6A Player of the Year. Committed to East Carolina. 5A VHSL All State Team: Michael Blanchard, RHP from Nansemond River, is the 5A player of the year. Committed to ODU. 4A VHSL All State Team: Grey Lyttle, 3b/OF from Hanover is 4A player of the year. Committed to High Point. 3A VHSL All State Team: Drew Calohan, RHP from Rustberg HS is 3A player of the year. Committed to Ferrum. 2A VHSL All State Team: Matt Pinson, RHP from Maggie Walker (Richmond) is the 2A player of the year as a *junior*. 1A VHSL All State Team: Bryson Booher, RHP from Ft. Chiswell (SW of Roanoke) is the 1A player of the year. Committed to Concord University. VISAA’s All-State teams, Division I, Division II and Division III. Khalil Lee (Flint Hill) is the Division 1 player of the year. Harry Brown (Greenbrier Christian) is Division II player of the year. Andrew Lowe (Southampton Academy) is Division III player of the year. VHSCA (Virginia High School Coaches Association) All-State Teams: all pending for 2016: I gave up waiting for them and published. Maryland MIAA All-State teams: No POTY’s announced. The “A” team is dominated by players from Spalding and Calvert Hall, and includes Tyler Blohm. The “B” team is dominated by the two best B teams: Boy’s Latin and Annapolis Area Christian. Prep Baseball Report VA/DC All-State Team; published 7/1/16: Jake Agnos is their player of the year. NovaBaseballMagazine’s “Nova Nine” for 2016: Jake Agnos is their player of the year. NovaBaseballMagazine’s alternative “Nova Nine” lists. NovaBaseballMagazine’s selection panel (made of coaches and staff) has selected All conference teams for all the Northern Virginia-based conferences; click on the “Standings” link from their home page, navigate down to the division in question, and you’ll get the final 2016 conference standings, then the results of the conference tournament, and the all conference team. I’m not sure if these are “official” all-district teams or if these are NBM’s staff selections. All Loudoun-County Team: announced 6/29/16. 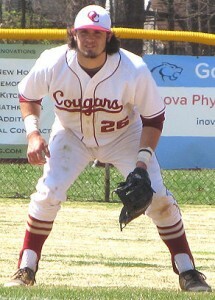 Will Schroeder, RHP/SS for Loudoun County HS named POTY … as a sophomore. Free Lance Star All-Fredericksburg 2016: announced 6/30/16. Alex Smith C from Mountain View (Navy commit) is Player of the year. American Family Insurance All-USA Baseball Teams: Riley Pint, P from Kansas and 4th overall pick was POTY. Tyler Blohm was 2nd team. Nolan Jones (UVA commit) also 2nd teamer but likely signs after getting drafted in the 2nd round. American Family Insurance All-State Baseball Teams: released 6/30/16. Washington DC: St. John’s Cam Remalia (by way of Waldorf, MD) is POTY. Committed Coastal Carolina. Maryland: Spalding’s Tyler Blohm won the Maryland award. Committed to Maryland. Louisville Slugger High School All-Americans: announced on or about 6/17/16. Zack Hess (Liberty Christian), Joe Rizzo (Oakton), Khalil Lee (Flint Hill) all first teamers. Harold Cortijo (a junior!) from Riverdale Baptist 2nd team. American Baseball Coaches Association/ABCA/Rawlings High School All-Americans: released 6/23/16. Khalil Lee 2nd team all-american. ABCA/Rawlings High School 2016 All Region Team for the Mid-Atlantic: familiar names Khalil Lee, Joe Rizzo, and Tyler Blohm on the all-Region 2 team. USA Today All-Americans: not sure if they do their own or if the multiple “American Family Insurance” teams are the official USA Today Teams. Baseball America All-Americans: released 6/21/16. No Local players named, to the chagrin of Jake Agnos proponents. The Baltimore Sun’s All-Metro Team released 6/17/16. Tyler Blohm the player of the year. Richmond Times-Dispatch All-Metro team: Grey Lyttle, 3b/OF from Hanover POTY. (the 2016 Richmond Times-Dispatch All-Metro team link also has prior POTYs dating to 1993). Virginian Pilot All-Tidewater team: Michael Blanchard, RHP Nansemond River (Old Dominion) is player of the year. Second Team link here. If you know of *any* all-anyone team in a publication or official site that i’m missing, please let me know. 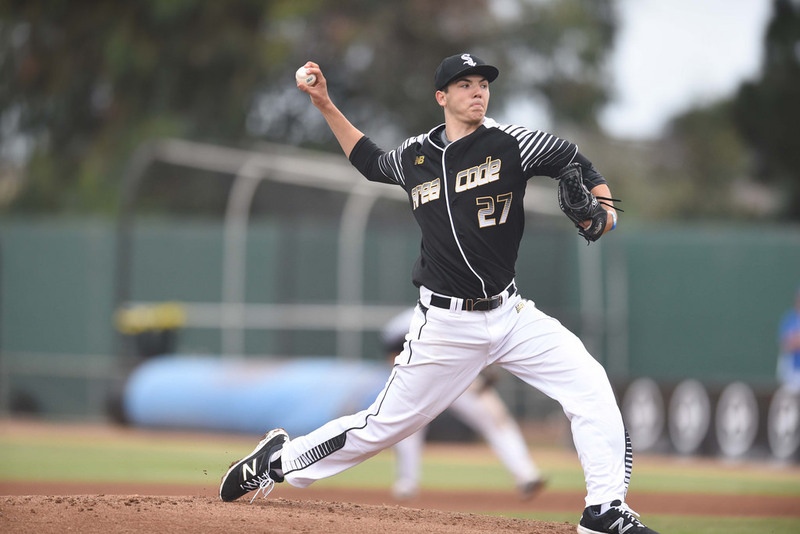 Local and National High School Baseball Ranking Lists: Updated for the final rankings. Washington Post All Met Sports Final Area top-10 ranking: Riverdale Baptist, Spalding, St. Johns DC, Chantilly, Battlefield top 5. Madison, who was consensus #1 for practically the entire season, doesn’t even make the top 10 after its early Regional loss. NovaBaseballMagazine.com Final Rankings of all NoVA teams dated 6/13/16: Chantilly, Battlefield, Kettle Run, Mountain View, Hylton. PrepBaseballReport Final VA State-Wide Power25 Rankings: Hanover, Greenbrier Christian, Liberty Christian Academy, Chantilly, Nansemond River. Baltimore Sun Top-10 Poll Archives: Final 5/23/16 ranking. Perennial power Spalding has been at the top for a good chunk of the season. Spalding, Chesapeake AA, Severna Park 1-2-3. The Virginian Pilot Top-10 for Hampton Roads area: Final 5/31/16 poll: Private school powerhouse Greenbrier Christian, Grassfield and First Colonial 1-2-3. Richmond times-Dispatch Richmond-Area top-10: 6/14/16 Final poll: 4-A state champ Hanover, Collegiate, Mills Godwin 1-2-3. MaxPreps All-Virginia Rankings: 6/13/16 so basically Final Virginia rankings: Hanover, Grassfield, Liberty Christian Academy, Chantilly, Paul VI. USA Today’s National High School Super 25 (“Expert”) Rankings 6/22/16 Final rankings: Hanover rises to #8, Spalding rises to #13, and Chantilly gets in at #23. USA Today’s National “Computer” Rankings 6/22/16: Assuming Final at this point: Hanover at an astounding #4, no other local teams ranked. USA Today’s Super 25 North East & Mid Atlantic Regional Rankings 6/22/16 Final: Hanover & Spalding 1-2 in the region. Also includes Chantilly at #5, Riverdale Baptist #7. Baseball America Top 50: dated 6/16/16: Chantilly finishes #28, Riverdale Baptist #39. Final? MaxPreps “Excellent 25” ranking: 6/13/16: Hanover #21. Final? MaxPreps “Excellent 50” rankings: 6/13/16: Hanover #21 and no other local teams mentioned. Final? MaxPreps Computer Rankings 6/27/16: Hanover #5. You have to scroll pages to find the next local teams (ranked in the 75-100 range). Final? PrepBaseballReport.com: Great HS coverage for DC/VA. Prep Baseball Report’s Database of College commitments for VA players (with pulldowns for other states and other grad years). #1: DC/MD/VA District High School Tournament Report: post-season kickoff. Covers: MD regional kickoffs, VA district brackets, Private school tourney updates. Usually publishes the week before Memorial day tournament finals. #2: Maryland State Champs, Northern VA District Champs crowned Covers: MD state finals, VA district tourneys, VA regional brackets, DC regular season results. Usually publishes after the Memorial Day weekend tournaments finish up. 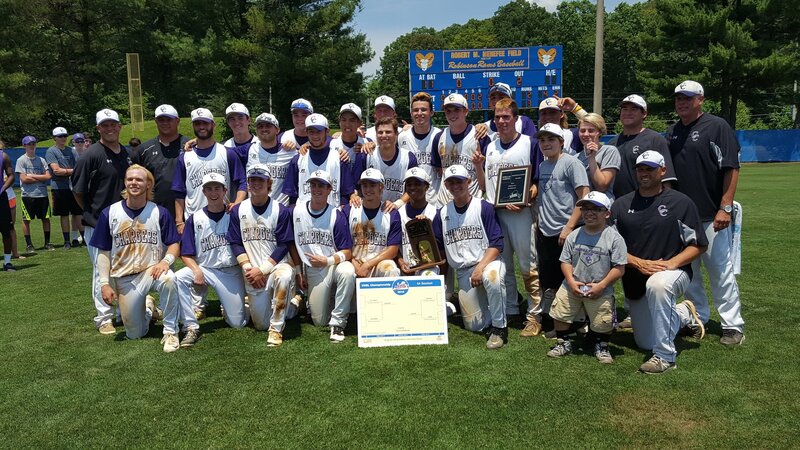 #4: Final Prep Baseball Tourney Update: Virginia State Champions crowned (this post). Covers: VA state tourneys, recaps MD, DC, Private School results. Publishes mid-June once the Va state tourney wraps up. #5: List of all the final Player of the Year links that I’ve been collecting. In this post, we will cover the Virginia State tournaments, re-cap MD, DC and private schools, and various Player/Teams of the year that have been released as of the date of publication. Text in Red are pending results; I’ll update this post as the results come in even post publishing. All the state tourneys run from June 8th-11th at the various sites. All state brackets available from this link at VHSL. You might wonder why the 5A/6A competitions are at (to be brutally honest) rather run-down high school fields in Northern Virginia. Well its because ALL the spring state tournaments are being decided at the same schools at the same time. Softball, Soccer, Track, Baseball. So you need high schools with enough capacity to park everyone. And that leads you to basically the two biggest schools in the area. Now, why don’t they just host this thing at George Mason University instead?? A great question. Without having any direct knowledge, but having been involved with field reservations for the various adult and youth baseball teams for 20+ years, the answer seems to be this: the GMU baseball coach is possessive about “his” field and thus no amateur teams are ever allowed on it. In fact; in case you never noticed there’s no lights on Mason’s baseball diamond; that’s because if there were lights, there’d be a ton more pressure to give up use of the field to youth and amateur teams. Frankly, there’s *zero* reason why Mason couldn’t feature itself and its facilities by hosting state championships (like Liberty and Radford do for the smaller divisions). Its just typical myopic behavior by baseball coaches in the area who are ultra protective of their fields (while forgetting that its us, the Virginia tax payers, that funded their construction and pay their salaries). Rant off. 6-A State Finals: held at Robinson and Lake Braddock HS in Northern Virginia. 6-A North Winner Chantilly (23-2), runner-up Battlefield (22-4). 6-A State Final: In the State final, Battlefield jumped ahead late 2-0 but Chantilly scored 3 in the bottom of the 7th to walk off a State champion. Gut punch for Battlefield, who threw their ace to get there and were in position to win. Brett Norwood Jared Enders got the walk-off hit to win it in the end. 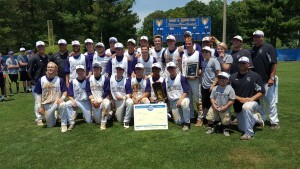 Chantilly, twice in a row runners-up, are finally your 6-A State champs (thanks for correction in the comments LV). 6-A State champ: Chantilly, 25-2 on the season. 5-A State Finals: held at Robinson and Lake Braddock HS in Northern Virginia. 5-A South Winner Nansemond River (19-7), runner-up Mills Godwin (19-5). 5-A State Semis Results: In the first semi, Mountain View held serve against Mills Godwin and won 3-2. In the second semi, Nansemond outlasted Potomac 3-1 to setup a 5-A final of Regional champs. 5-A State Final: Nansemond River defeated Mountain View 5-3 to capture their first state title. 5-A State champ: Nansemond River, 21-7. 4-A State Semis Results: In the first semi, Hanover won a close game 2-1 over Kettle Run. In the last semi-final played of the evening, Jamestown led Liberty Christian the whole way, but LCA kept coming back and ended the game with a walk-off hit by Zack Hess, who had pitched the whole game. LCA advances 5-4 to setup a dream 4-A final between two of the best teams in the state. The 4-A final was perhaps one of the craziest playoff games ever contested; Hanover held a 7-1 lead heading into the 6th inning, LCA scored eight runs in the 6th inning to take the lead 9-7. Hanover answered by scoring 6 runs the following inning, taking a 13-9 lead into the last. LCA rallied, scored 3 runs themselves to cut the lead to 13-12 without recording an out, but then stranded the tying runner at second to lose the state title game to Hanover. The recap is worth the read. What a game. Hanover wins their third state title in four years. 4-A State champ: Hanover, 24-1. 3-A West Winner: Turner Ashby, runner-up Rustburg. 3-A State Semis Results: Rustburg took out Poquoson 6-3 in the first state semi on the strength of a 5-run sixth inning. In the other semi, William Monroe blanked Turner Ashby 3-0 setting up an unlikely state final where neither regional winner advanced. In the final, Rustburg outlasted William Monroe 3-2 to take the state title. Recent Virginia HS champs: Before 2014, we just AAA, AA and A; now we have 1-A through 6-A. Here’s the state finals results in Maryland. Brackets here at the MPSAA website. 3-A: 2016: Huntington d Chesapeake-AA 4-3. . 2015: Chopticon beat Mt. Hebron 1-0. 2014: Reservoir beat North Harford 2-0. 2013: Bel Air defeated La Plata 3-2. 2012: Bennett. 2011: Bennett. 2010: C. Milton Wright. A quick list of past Maryland State champions by division past what we have here. DCIAA: Wilson took its 24th consecutive DCIAA title with an 11-1 win over SWW. DCSAA: St. Albans eased out a 2-1 victory over Maret to claim the DCSAA title. MIAA: A: Spalding won their 3rd consecutive MIAA-A state title. In the “B” division, Boys Latin defeated Severn. And in the “C” division, St. Johns Catholic Prep got a 3rd straight title. VISAA: Division 1, Paul VI lost in the VISAA final to Richmond’s Collegiate. In Division II, Greenbrier Christian cruised to the title as the #1 seed. In Division III, #1 seed Southampton Academy also took the title. WCAC: St. Johns beat OLGC for their 3rd straight WCAC title. IAC: Landon outlasted Bullis for the IAC title. MAC: The Potomac School beat Maret for the MAC title. PVAC: Sandy Spring Friends beat St. Anselm’s for their 2nd consecutive PVAC title. Maryland Private School Tournament: Riverdale Baptist defeated DeMatha 4-3. In addition to being playoff-baseball time, this is also the time of the year that we start to see player awards. I keep this as a running list as announcements are made before doing a final publication at the end of the year. Washington DC: St. John’s Cam Remalia (by way of Waldorf, MD) won the DC award. Committed (per PG) to Coastal Carolina. Virginia: Flint Hill’s Khalil Lee won the Virginia award. Committed to Liberty but likely to get drafted early. Washington Post All-Met teams: Jake Agnos is the 2016 All-Met Player of the year. Meanwhile, here’s a fantastic list of all All-Met teams in all sports going back to 1991 that i’m spinning into a “where are they now” post to be done sometime in the future. NovaBaseballMagazine.com has selected All conference teams for all the Northern Virginia-based conferences; click on the “Standings” link from their home page, navigate down to the division in question, and you’ll get the final 2016 conference standings, then the results of the conference tournament, and the all conference team. I’m not sure if these are “official” all-district teams or if these are NBM’s staff selections. Local and National High School Baseball Ranking Lists: Updated for 5/23/16 in most cases. Washington Post All Met Sports Area top-10 ranking: Madison maintained #1 ranking most of the season but now Chantilly & Battlefield will lay claim. NovaBaseballMagazine.com Rankings: Madison and Chantilly have dominated the rankings all year, Battlefield, Kettle Run, Mountain View & Marshall there too. PrepBaseballReport maintains a VA State-Wide Power25 Rankings: Greenbrier Christian, Hanover, Liberty Christian and Chantilly leading the way. Baltimore Sun Top-10 Poll Archives: Perennial power Spalding has been at the top for a good chunk of the season. Spalding, Chesapeake, Severna Park 1-2-3 in final 5/23/16 ranking. The Virginian Pilot Top-10 for Hampton Roads area: Private school powerhouse Greenbrier Christian, Grassfield and one-loss First Colonial 1-2-3 in final 5/31/16 poll. Richmond times-Dispatch Richmond-Area top-10: perennial 4-A power Hanover leads the way. UsaToday’s National High School “Expert” Rankings 5/25/16: Hanover comes in at #16, Spalding at #21. USAtoday’s National “Computer” Rankings 5/25/16: Just Hanover at #21. Baseball America Top 25: No local teams ranked. Madison was in the pre-season list but quickly dropped out with its early season tourney losses. MaxPreps “Excellent 50” rankings: No local teams listed. MaxPreps All-Virginia Rankings: Hanover, Grassfield 1-2, then 4-A Jamestown (maybe a bit high), then the two big private schools Greenbrier Christian and Liberty Christian. Highest ranked 5-A team is Mountain View, so there’s your 6A/5A/4A favorites.